Once upon a time, a developer by the name of Gajin Games (now Choice Provisions) blessed us with an incredible take on the auto-runner in the form of BIT.TRIP Presents… Runner2: Future Legend of Rhythm Alien (a mouthful, that title). It was an amazing game and a huge step up from its precursor, BIT.TRIP RUNNER, which in itself was a rather groovy experience. But that was then, this is now, and CommanderVideo is ready to jump, dash, slide and glide once more, in Runner3. 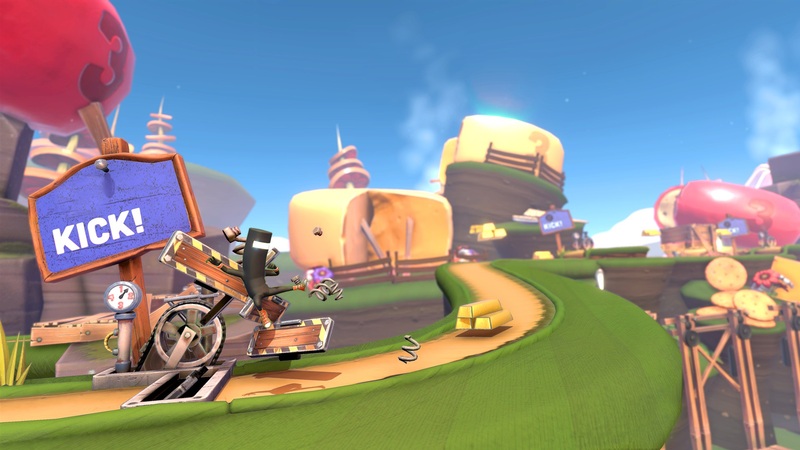 Much like Runner2 before it, Runner3 has players running along a pre-determined path – with the odd, infrequent branch – on a quest for gold. Or so it might seem at first glance, given that levels are littered with bars of that ever-valuable stuff. More likely, CommanderVideo (or whichever one of his friends you choose to play as) is simply there to have a blast, what with his ability to “jump, double-jump, wall-jump, slide-jump, slide, kick, float, fly, and dance his way to victory”… while rockin’ to the beat. I mean, sure, there is a story here (something about stopping Timbletot from ridding the multiverse of love and happiness), but chances are you’ll be more engaged in the on-screen action than the ‘why’ aspect. Gotta keep a keen eye on it all after all, so you can time every move accordingly – whether it be smashing through barricades, making the most of a trampoline, or, you know, doing a bit of bowling or sailing through the sky? No I’m not joking. Look at the trailer below. CommanderVideo got mad moves, yo. Runner3 is available on Switch, GOG.com, Humble Store, itch.io and Steam, carrying a $29.99 price tag.